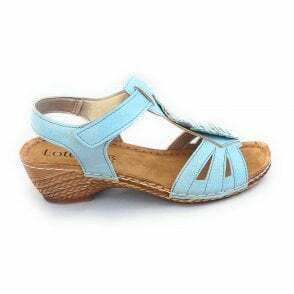 Choose a comfortable and stylish pair for the warmer months with these Lotus Charlene open-toe sandals. The pink upper features a metallic pink t-bar design with an adjustable ankle strap for a perfect fit. A cushioned leather insole and low wedge heel ensures all day comfort. Wear with anything from jeans to maxi dresses.